On Wednesday I was down in Colorado Springs to meet with a potential client. Tuesday night had brought images of the Front Range that looked almost indistinguishable from the mountains of Mordor, so I was anxious to see what the city I had grown up in looked like. Most of the day, you couldn’t really see much of the range because thick smoke enveloped the city, but in the afternoon the skies cleared enough to catch a glimpse. Thanks to the incredible efforts of the firefighters most of the flames had been pushed back over the ridges and couldn’t be seen from the east, but the evidence was still billowing from below. 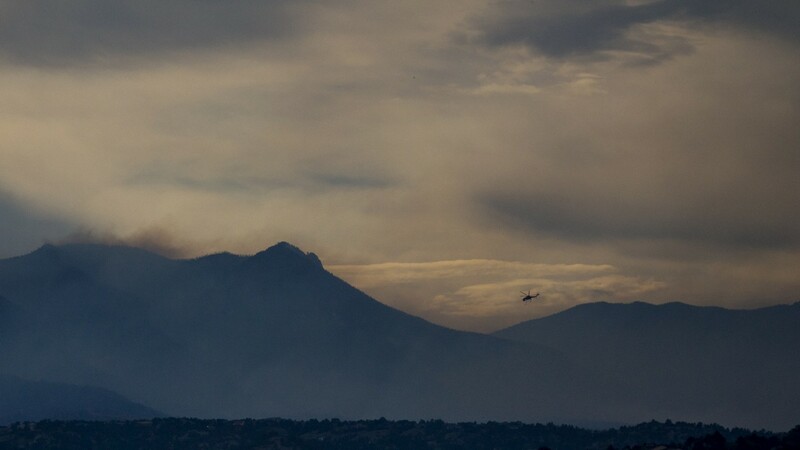 So while the client and I never met—we both failed to see each other where we were meeting—I was glad to have been able to see what was going on with the Waldo Canyon Fire. I went up to Pulpit Rock and snapped some photos, and this one is my favorite.